Pediatric Chiropractic Glen Ellyn | DuPage Healthcare Ltd.
Just like adults, children have spines that must be looked after for their nervous systems to work at 100%. Too often, the people in our office come to us with problems that started in their childhood or youth and have worsened over the years. 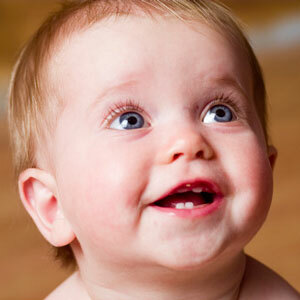 At DuPage Healthcare Ltd., we can start taking great care of your kids from day one. Your first subluxation can occur at birth. From then on, a child experiences slips and falls, takes medications and gets into sports, encountering trauma, accidents and toxicity. There are many ways the spine can be harmed. By checking it early, we can prevent problems and give our kids the best possible chance to grow up healthy and robust. 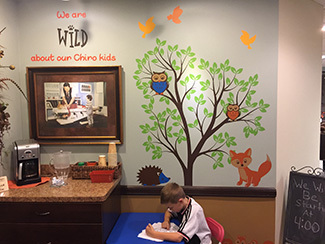 What benefits can kids experience from chiropractic? The children who are under chiropractic care have reported improved immunity, which any parent knows is an incredible advantage when there are classrooms full of germs being passed around. Chiropractic adjustments can benefit children with ADD/ADHD, bed-wetting and ear infections, as well as assisting those who are hurt playing sports. Can you see me before my child is born? Expecting moms are welcome in our practice and have found that they, too, reap many benefits from chiropractic care. What kinds of techniques are appropriate for children? When we first meet with you, the parent, we’ll talk extensively about your child’s health from birth on. From that and an examination, we can determine what type of gentle adjustment is best for them. We don’t use the same techniques as we would with adults, and concentrate on making their appointments a fun, enjoyable occasion. Give your child the best chance at an abundant life. Contact us today to discuss starting pediatric chiropractic in Glen Ellyn! Insurance coverage can be used for your visits.